Although education in Kahi is free and there are schools in the community, they are far apart and lack enough books, desks, and water supplies. Many children walk long distances to schools, or attend classes under trees. Due to these conditions, enrolment and attendance are low. Poverty also prevents children from enrolling because they cannot afford basic school supplies. Dropout rates are high, especially among girls. They are burdened by their traditional roles at home, such as assisting with household chores. This is especially true for children from child-headed households, who face the greatest risks. 9% of the population is illiterate. 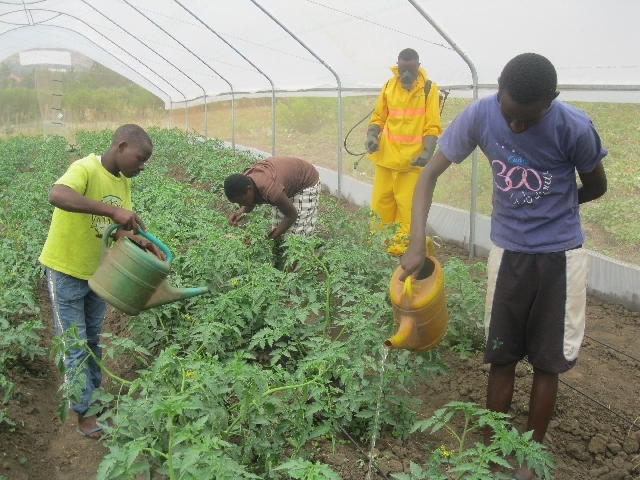 Vocational training opportunities are limited and cannot meet the needs of all the children who have not gone on to secondary school after primary school. 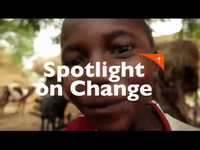 Children in Kahi regularly suffer from malaria, worms, diarrhea, and respiratory infections. Heath insurance is available, but very few impoverished families can afford it. Many children die before their fifth birthday from preventable illnesses. Families don't have enough food, and lack access to information on eating a balanced diet. Hundreds of children under five years old are malnourished, but there is no nutrition centre in the district. There are few health centres in the community, and existing ones are understaffed, poorly stocked, and lack necessary equipment. Some community members must walk over 10 km to reach a health facility when they are sick, so most people go to traditional healers for treatment instead, sometimes with serious health consequences. The Kahi area has been severely impacted by HIV and AIDS. Many orphans, widows, and people living with AIDS need more care and support than they currently receive. The horrors of the war and genocide of 1994 impacted the entire community, and its effects are still being felt. Most community members experienced death in their immediate family, and survivors and perpetrators alike have psychological wounds. They struggle for justice, forgiveness, reconciliation, and peace. Children were severely traumatized during the conflict. Most witnessed violence, killing, or dead bodies. Childhood dreams have been replaced by recurring nightmares, and children need help to recover. Almost 50% of community members are widows, elderly people, and the destitute, including child-headed households. Years after the war, they are still living in temporary grass-thatched houses and tents. None of these vulnerable families can afford to improve their living conditions. There are tanks to supply water to the community, but many of them are not functional. About 60% of the population does not have access to safe water. They collect household water from ponds or the local dam instead, and most do not boil the water before drinking it. 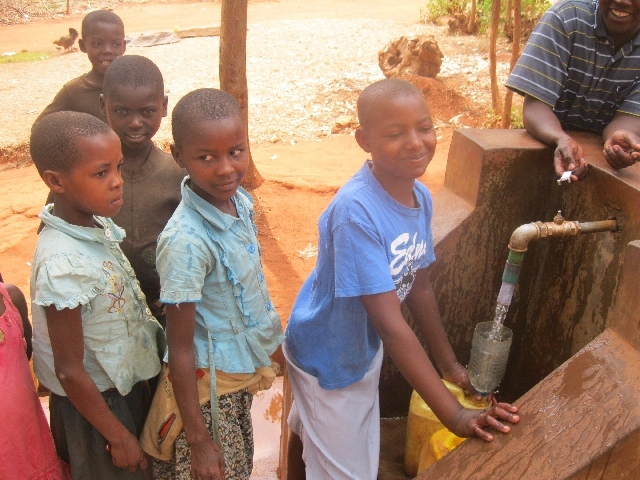 Waterborne diseases are rampant, and children are affected the most. 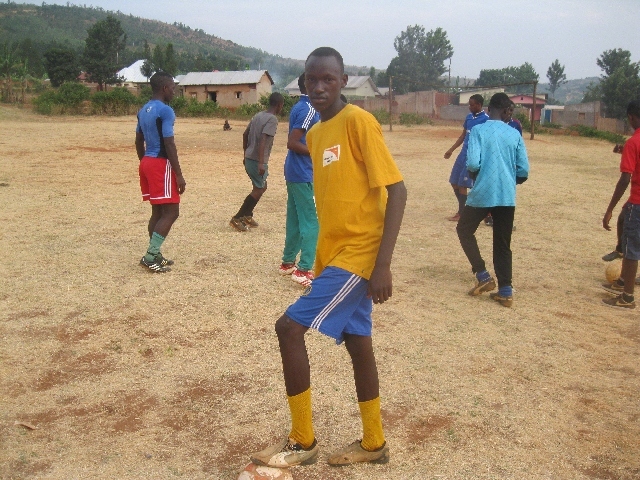 The Kahi community is located in a rural area of northeastern Rwanda, 140 kilometres from Kigali, the nation's capital. The land is made up of flat plains with gentle sloping hills. There is also a large swamp. The weather is generally hot and dry, with long hours of sunshine. In good years, it rains from March to May and again from October through December. However, recent years have brought more dry months than expected, causing prolonged water shortages. This has resulted in low crop production and food shortages, and caused cattle keepers to migrate in search of water and pasture for their livestock. 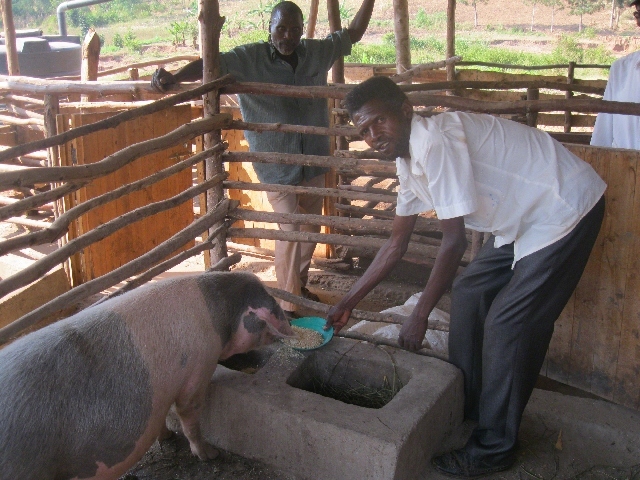 Agriculture and livestock keeping are the main sources of income. 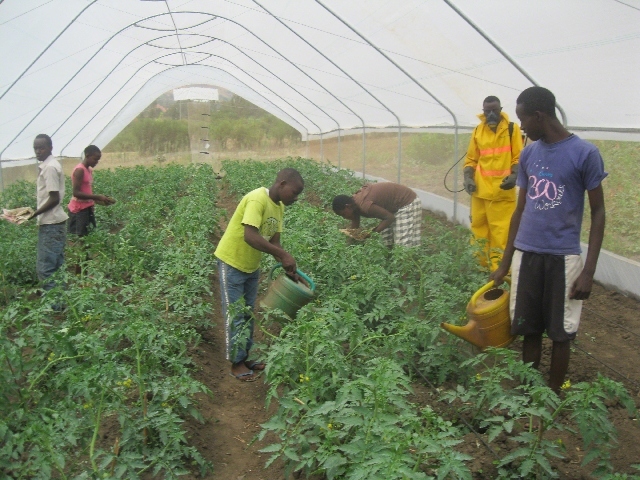 Crops include bananas, beans, sorghum, maize, rice, and sweet potatoes. However, food production is low, and many families are impoverished. Hundreds of households eat only one meal per day. The war and genocide of 1994 left many widows and orphans in the area, and AIDS has further decimated the population. Widows and elderly and destitute people comprise about 50% of the community's population. Many households are headed by children, some as young as 11 years old. Their lives are dominated by the struggle for survival. Construct, repair, and equip classrooms. Organize training for teachers and establish parent-teacher associations. Educate parents about the importance of school for their children, particularly for girls. Provide educational support to children from child-headed households. Provide families with health insurance to cover children's medical treatments. Construct, equip, and staff health centres. Educate families about nutrition, and rehabilitate malnourished children. Train community members of all ages on preventing the spread of HIV. Strengthen community-led care for orphans and people living with AIDS. Provide psychosocial support to traumatized people of all ages, especially children. Conduct community-led healing and reconciliation meetings. Promote positive and rehabilitative activities for children, including sports, drawing, poems, and traditional dance. 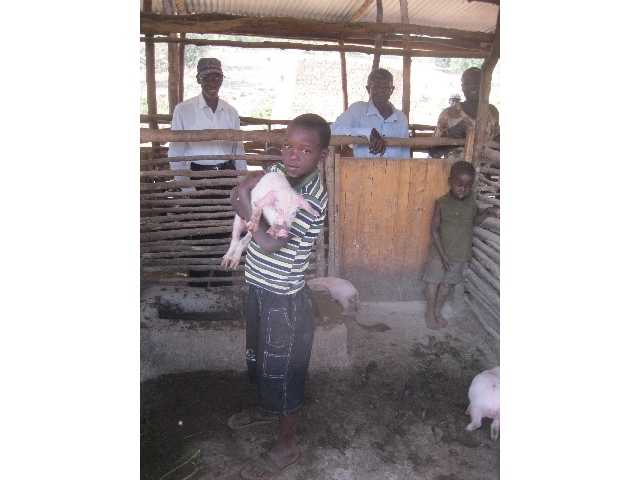 Support housing improvements for child-headed families, orphans, and widows. ​Support the construction and repair of water sources. 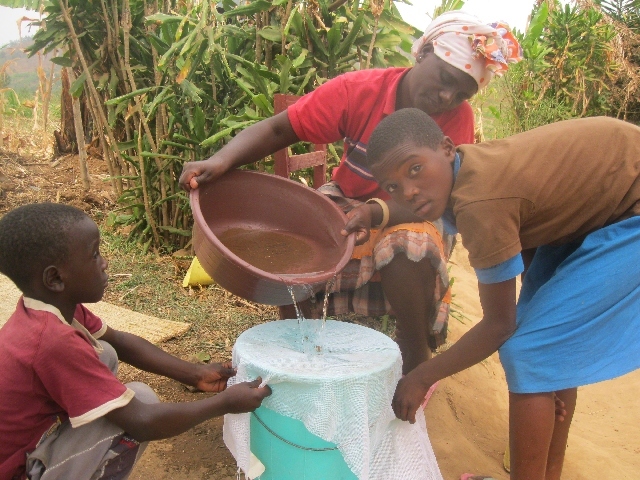 Educate families on improved hygiene and sanitation practices.